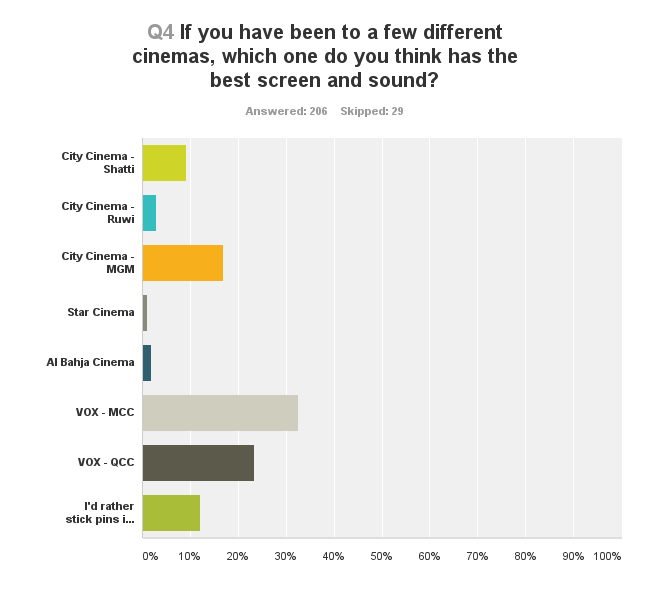 The results are quite interesting, people seem to prefer City Cinema's Shatti and MGM locations, yet acknowledge that VOX MCC and QCC have the best sound and picture. 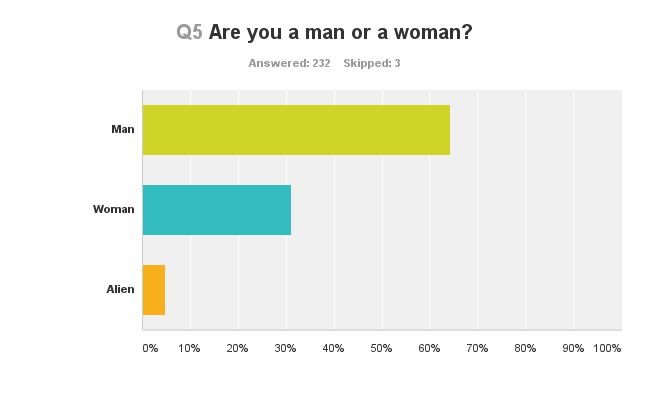 There's also 11 Aliens that responded to the survey. 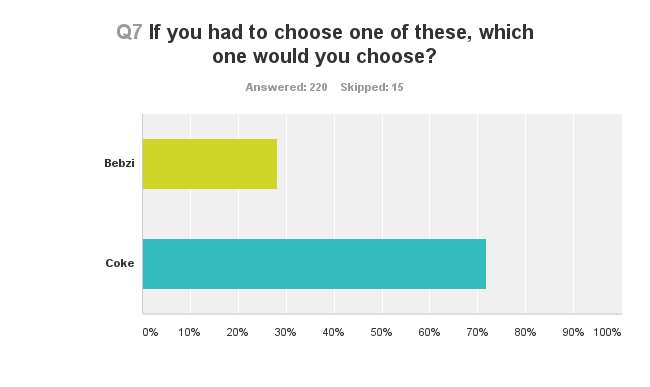 And perhaps most interestingly, Coke is the clear favourite when measured up against Pepsi! 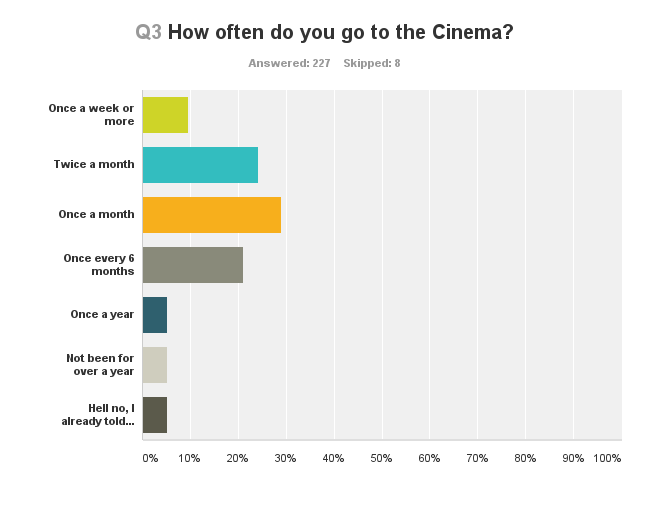 It seems that 90% of you go to the cinema here, with about 70% of you going quite often. The next graph below shows where you like to go, and the one below that shows how often. 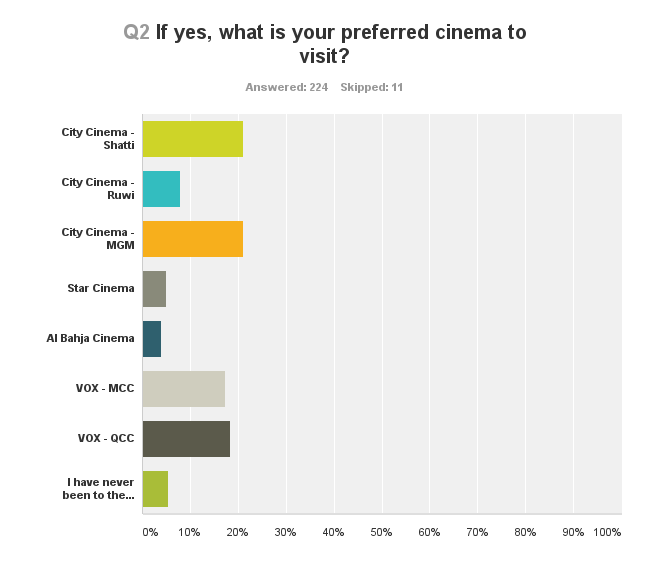 City Cinemas MGM and Shatti locations are the joint first choice locations for you to watch movies in, with Vox QCC being slightly more popular than Vox MCC, yet when you look at graph 4 below, you'll see that even though you prefer to go to City Cinemas, you think (in general) that Vox has the better sound and picture. So why don't you go? Cost? Location convenience? 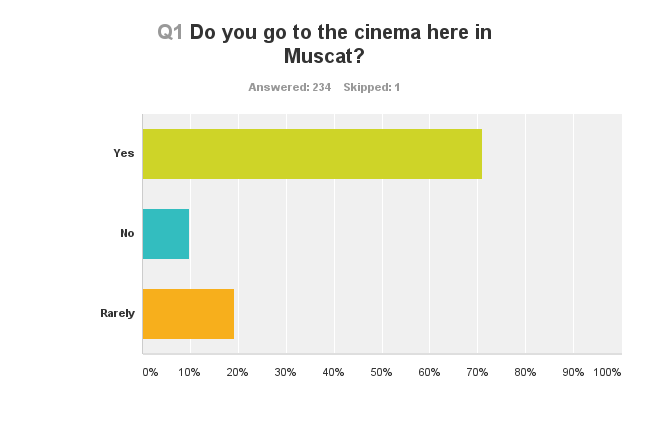 Over 62% of you visit the cinema at least once a month... it seems we're a cinema-loving city here in Muscat! So Vox MCC appears to be the clear winner for the best picture and sound, with Vox QCC following up second. City Cinema's MGM cinema is way behind, with Shatti even further, yet they're more popular according to you lot. Well we have a lot of Aliens here in Muscat, makes sense when you see the driving I guess. And would you look at that? Coke dominated bebzi! 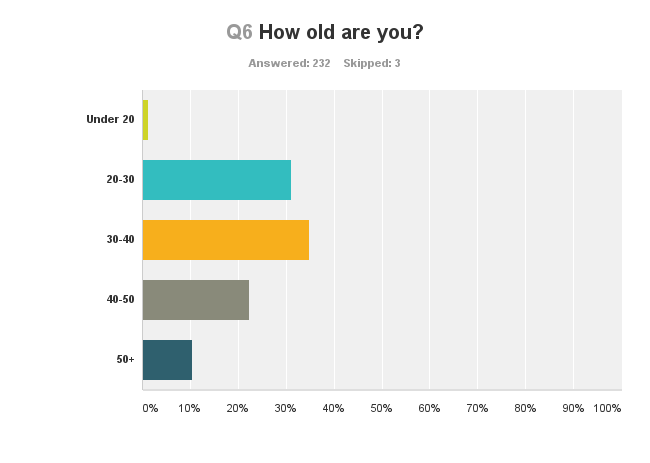 Do you have any ideas for a pointless poll? If you do, drop me an email!